We’ve never been so connected, flooded by constant emails, texts, calls and alerts. So, what’s the result? Higher productivity? More effective management? Or a lot of stressed out executives, CEOs and employees? 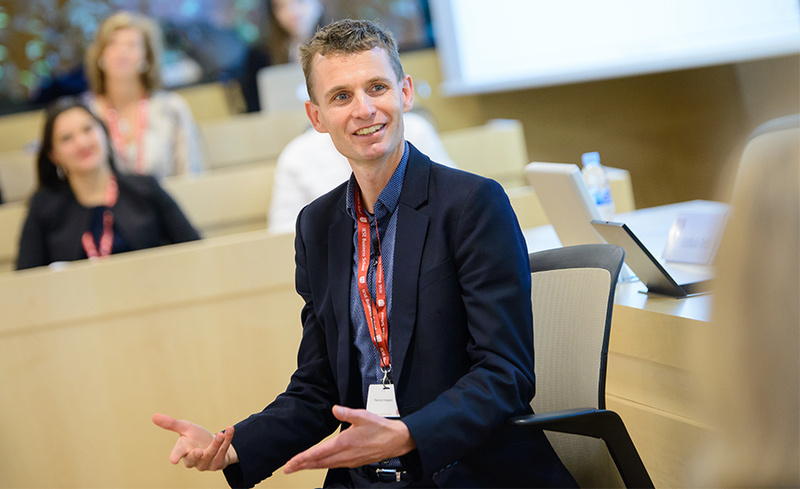 The 2nd Executive Coaching Symposium, organized by the IESE Executive Coaching Unit, recently looked at how professionals can develop resilience in today’s demanding workplace and how to manage the information overload. Dr. Rasmus Hougaard, a world-renowned mindfulness expert and founder and managing director of Potential Project, offered his perspective on the need to push aside distractions and to focus. “Attention is one of the most scarce and important resources of today. We used to measure productivity in terms of time and skills. But now, it is equally important for getting anything done,” Hougaard said. While focus is crucial at work, Hougaard said, fewer and fewer leaders are able to identify and block out distractions. “We are losing the ability to be here and now. Research has found that 47% of our time we are distracted from what we are supposed to be doing,” he said. Information overload and hyper-connectivity are harming our ability to focus on the tasks at hand. 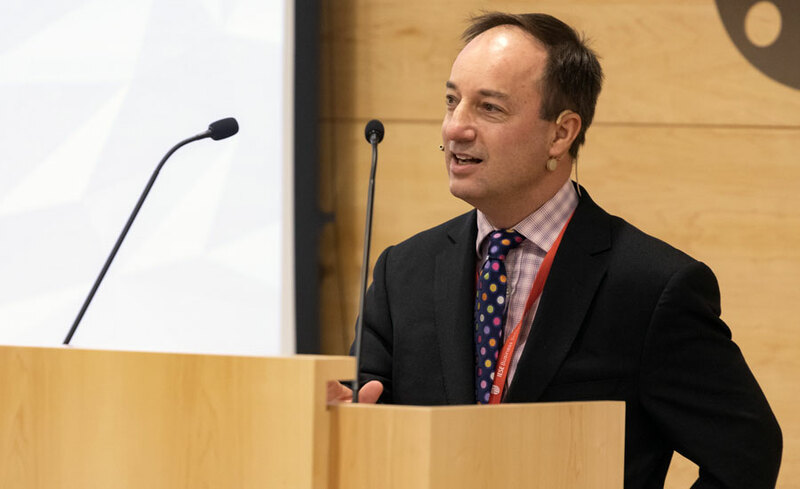 “There is a growing level of attention deficit trait in organizations, which causes us to act reactively, rather than most appropriately,” he said. As a result, productivity suffers and decisions are oftentimes made with an emotional or irrational mindset. With our minds racing uncontrollably, Hougaard explained, we begin acting on autopilot. Mindfulness, or bringing your attention to the present moment, can improve the lack of focus plaguing today’s workforce and contribute to better decisions. By creating the mental space to process rationally and thoughtfully, not simply reactively, “you can see things as they really are, reappraise them, and act in a constructive way”, Hougaard said. Thought and intentionality enter the equation and our field of vision is broadened. Beyond better decision making and productivity, mindfulness is a terrific enzyme for sparking creativity. “Creativity comes when you eliminate all the stuff we shouldn’t be focusing on. It’s when you are actually present that creativity arises,” he said. When you feel like you have a million things to get done, you don’t have the mental space to start thinking outside the box. Not being able to focus is also undermines our well-being. The stressed-out sensation so many executives feel today is because their minds are not processing everything rationally. But by being mindful, and in control of your mind’s activity, “you see things clearly and that the world isn’t bad and mean but rather manageable”. Consequently, when a negative event arises, you are more resilient and will have a more positive outlook. Hougaard emphasized how just 10 minutes of mindfulness exercise could change your life, professionally and personally. “Closing your eyes and counting your breaths from one to 10 and staying focused on your breathing is a basic and good technique to improve mindfulness,” he said. Practicing allowing your mind not to stray during this time will create the ability to deal with inputs with a cool head. “And if you find yourself distracted during those 10 minutes, see it as a success because you’ve identified yourself being mentally distracted,” he said. Becoming better at this will give you an “added second” in your day-to-day. That is, with every stimulus your mind is triggered by (i.e. new emails, sudden phone calls, etc. ), you will process more effectively and be able to have a deeper impact.